Pollution has been the biggest problem in India. Pollution falls under three major categories: water, soil, and air pollution. Human and animals are also the cause of pollution. With the increasing industries and power plants, air pollution and water pollution is extremely difficult to control. Lack of awareness amongst the citizen is also the reason for increasing pollution rates. Pollution can cause several deadly diseases nowadays. 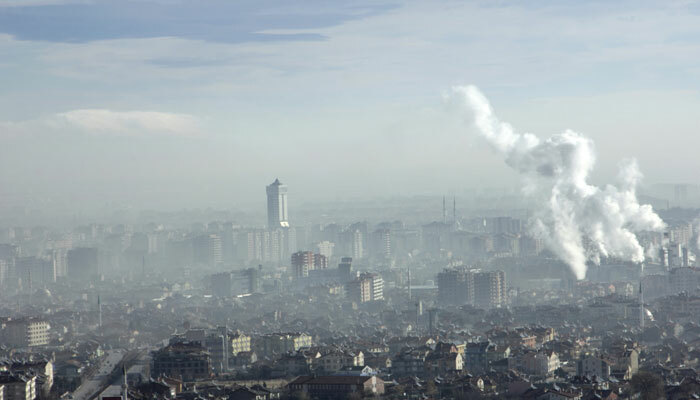 Air pollution can cause respiratory diseases such as asthma and lung diseases. The sulphur dioxide and nitrogen oxide cause acid rain. Ozone pollution can cause dangerous diseases such as throat cancer, throat inflammation, chest pain, congestion, cardiovascular disease and so on. Noise pollution induces stress, high blood pressure, insomnia, hearing loss etc. The polluted water causes severe health issues. The cause of pollution is lots more but if you take strict actions to control the pollution, it will really make much sense. In this article, we will show you the top 10 most polluted cities in India. With the pollution rate of 113 per year, Lucknow stands 1oth place on the list of top 10 polluted cities in India. Lucknow is the capital of Uttar Pradesh, which is the 11th most populous city in India. Lucknow was ruled by Nawabs during 18th & 19th century. It is the hub of rich culture. Also, it is an important center of all the basic aspects includes technology, design, culture, tourism, aerospace, finance, pharmaceuticals, education, commerce, administration, culture, law & order etc. However, it falls under the curse of top 10 polluted cities in India. At number 9, we have Firozabad in this list. Firozabad is a popular city in Uttarpradesh. It has the pollution rate of 113. This city is better known for its innovative bangle & jewelry work. 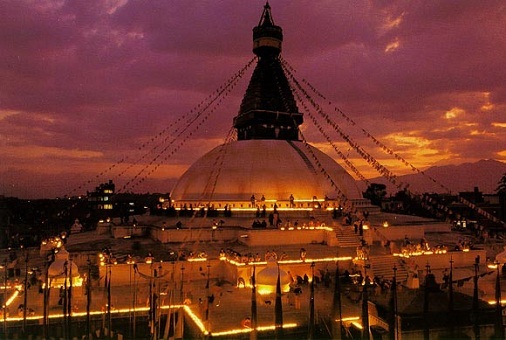 A recent study has revealed that this city has exceeded the pollution level of PM 2.5 & PM 10. Also, the nitrogen oxide has crossed its maximum level. So, the city is at high-risk today. With the pollution rate of 114 for PM 2.5, Khanna ranks 8th in the list. Khanna is a small city in Punjab. However, it falls under the curse of top 10 polluted cities due to the ignorance of proper administration. At number 7, we have Kanpur in this list. Kanpur is the 2nd largest city in Uttarpradesh. It is headquarter of Kanpur division and Kanpur Nagar district. There is no strict rules & regulation for the control of pollution in Kanpur. The pollution level in Kanpur is growing due to the lack of awareness amongst the youngsters and citizen. It is mandatory to take the serious action to reduce the pollution rate as much as possible. The study made by WHO has revealed that the harmful particles are less than 2.5 PM. Ludhiana is a popular district in Punjab. It is the largest city in Delhi. It stands 6th place on the list of top 10 most polluted cities in India. The World Health Organization said that Ludhiana suffers from the 86micro gram of PM 2.5. The government should take serious action against the pollution. With the strict rules & policies, a government can control the pollution rates to some extent. Delhi is the 5th most polluted city in India. Delhi is the capital of India. It has been ruled by various kings of different kingdom across the world. It was found in the 6th century. In the initial stage, Delhi has been rebuilt several times. And, the modern city is the hub of industries. This great union territory ranks at 5th place on this list of top 10 polluted cities. The pollution from the industries is the major reason behind the increase in pollution rates. With the pollution rate of 134 for 2.5 PM, Raipur stands in 4th place on this list of top 10 most polluted cities in India. Raipur is a major city of Raipur district. It is the largest city of Chhattisgarh. Also, it is the administrative district of Raipur district. It is the hub of coal and power plants. The pollution rate of Raipur cannot be controlled due to the industry and power plants. Patna is the largest city of Bihar. It had population rate of 1.68 Million in the year 2011.It is the 19th largest city in India. It features in the 2nd position as the most polluted city in India. In Patna, the major source of income is agriculture. Unfortunately, it affected due to the rise in pollution level. At number 2, we have Allahabad on this list. Allahabad is otherwise known as Prayag, which is a major city of Uttar Pradesh. It ranks at a 3rd most livable city in Uttar Pradesh. It has an estimated population of 1.21 Million in the metropolitan state. Also, it is the 7th most populous city in the state. With the disgusting wind patterns, vehicular emission, coal burning plants, dust & deforestation, the pollution rate of Allahabad has been constantly increasing. With the pollution rate of 176 per year, Gwalior is a leading city in this list. Gwalior city is a major city of Madhya Pradesh. This city has been ruled by many kingdoms across the country. During the 13th century, it was ruled by Mughal Empire, and then it was passed to the Marathi an in the year 1754. Pollution is mainly caused due to the contamination of dust & chemicals into the air, water, and soil. Reducing the pollution rate in a day is next to impossible. The government should take series of steps to address all the issues related to the air, soil, water & vehicular pollutions. The improper waste disposal and lack of awareness amongst the people is the major reason behind the increase in pollution rates in some metropolitan cities. The disposal of industrial wastages dumped into the river, which affects the agricultural source of the city. It is not just the industrial waste rather it is the source of many dangerous diseases. In some cities, the government has taken some steps to control the pollution rates, which includes the formulation of environmental rules, setting up of a steady network for producing ambient air quality. Promoting alternative fuels like CNG, LPG gases, promotion of cleaner process and lots more. on top of that, the central government has implemented Bharat stage 1V for 63 selected cities in India. The pollution rate can be controlled if the government imposes strict rules in all the cities. Also, it is the responsibility of an individual to plant more trees to reduce the risk of pollution.